I AM BROWSING Amartya Sen’s book, ‘Resources, Values and Development’ (1984), a selection of his essays from 1961 to 1984, republished in paperback in 1999 (OUP), after about fifteen years. Perhaps the author and the publisher did not see any need to include subsequent essays, if any, a sequel to the theme of this book, perhaps due to the restraints of economy. Sometime around 6500 – 5800 BC, the archaeologists say, people in the Fertile Crescent in South-east Asia domesticated rice. That included a part that we now call India, Bharat, or Hindustan as per our convenience. However, even to this day the tribal, in the backyard of Mumbai, cultivate wild Jowar – millet – and use it for various purposes: grains for food, its stocks that grow 7-8 feet for fodder and in housing. I TAKE THE EXAMPLE of Konkan, a rice-producing region on the western coast, where I was born, and grew up on paddy farms during my formative years. For a peasant, her homestead is the yard around her adobe abode with plants, fields, groves, grassland, hills, and of course, the community well, a stream, water reservoir if any; and a cow, goat, chickens, cat, dog or bullocks join her kinship. During all the dry days, besides other chores, she collects cow dung, brushwood, dry leaves, which go for fuel and/or manure in a compost pit. She collects even the ashes from ‘Chulha’ – cooking hearth, and ashes from the burnt leaves and spread in the farms. For the peasants this is ‘conventional’ agriculture, which continues in many places. 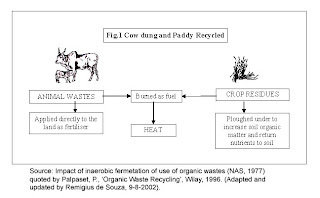 The western and the westernised call it ‘non-conventional’ or ‘organic’ agriculture. In between, there are four months of monsoon that witness hectic activity at home and the fields – transport, process, sowing and caring paddy, other grains and vegetables. The harvest brings the work that involves transport, process and storage. For example, there is a process for parboiled rice. Until few decades ago, they used the wooden grinding wheels (Ghirat) at home to remove husk, similar to stone-mill (Jaate) for flour. Now they take paddy to rice mills. They take home even the husk of the ground paddy. They feed the finer husk after boiling to the chicken / cattle. They mix the course husk in cow dung to make ‘govari’ – a flat cow dung disk – for fuel. Paddy straw is stacked in a mound (Koodi) around a wooden bully 10 – 15 feet high. It is stored for cattle feed during dry days, as green fodder is available during monsoon. The seeds, paddy, parboiled rice and rice are stored according to the quantity in a bamboo mat silos, or in paddy straw bundles (Moodi). Silos are covered from outside with cow dung wash. The bundles look like huge pumpkins of about three feet in diameter. The paddy straw cover is about three inches thick when compacted. They use a hand-made paddy-straw rope to tie around the bundle, compacted by using a wooden batten. The vertically tied rope looks like altitudes on a map of the globe. Indeed, it was a beauty, a work of art (or craft!) now perhaps lost forever. Paddy straw is also used for roofing in some cases, as may be seen near saltpans to cover and protect the un-disposed stock of salt in the open, during monsoon. 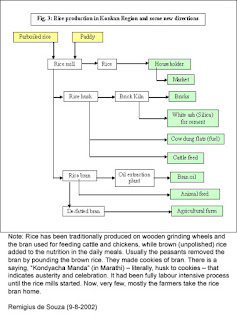 This is a very brief description of few details of peasants’ actions related to rice in the example above. Simple and ordinary as they may seem, there is a complex interrelationship between resources, values and development, which modern economics may not have fully explored. 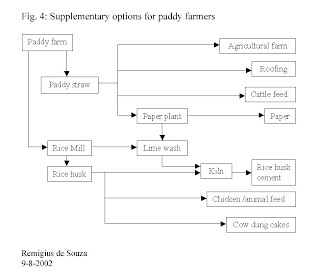 There is much more: besides skills, tools, processes and products related to rice, so also number of other “utilities”, not only for livelihood, but also culture/s of peasants. This has been going on for generations, for ages. “Consider a good, e.g. rice”, again. A few hundred miles north of my birthplace is Riagad District. Here, for example, in the coastal plains, the peasants don’t plough the paddy farm, but directly broadcast the seeds. They also use water-flooded paddy terraces to farm favourite local specie of fish, ‘Jitada’, by digging pits that retain water for few months after monsoon. People have used diversity and adversity both to their advantage discovered by ‘collective creativity’ and not by theories. In the land of great diversity that is India, what variety and wealth of knowledge, skills and practices must there be. However there is no time or will among the ruling minority, which is obsessed with western-style ‘development’ of capitalism with a benevolent name ‘duel economy’, hence, no records of “Intellectual Property Rights”, which may come up or be ignored in future; every time there may not be cases like Basmati rice, Neem and turmeric. The theft and smuggling of plants and herbs out of the country that is taking place is apart! While the elite enjoy a status of neo-Brahmanism, the 900 million peasants are like Shudras, or second-class citizens, or an underclass; that’s ‘duel economy’! Without right empowerment how would the peasants care for the vanishing precious biodiversity? With industrialisation, and without appropriate rehabilitation, it is not only the loss of the people’s knowledge, tools, and skills and the indigenous seeds, but also the loss of environment of the natural habitat. The ground water is going lower or is getting poisoned. We do not hear the chorus of frogs during monsoon nights any more. We were shocked to hear a hundred peasants died at a stroke in Karnataka by consuming crabs that had concentrated pesticides in their bodies. What will be the fate of the land, waters and the people when the SEZs (Special Economic Zones devised recently to take over agricultural farms in India) will become operative in near future? The governments, at the centre or states, have shown total apathy for the past six decades to organise and implement rehabilitation of the peasants, while bringing in and supporting industrialisation with their ad-hoc policies, projects and the laws. Why is this apathy? It is only because the peasants and the farming communities in six lakh villages is not an organised sector like commerce, trade and industry, which can twist government’s arm at a single call. Are the peasants on their way out to annihilation? It is as mute a question as the peasants. Perhaps the plain reason for this failure of the government is that the British Raj did not leave any formula as their legacy while parting; or it failed to invent any on its own; or it failed to imitate others. It failed because it failed to do necessary fieldwork. It is easier to produce nuclear weapons or space ships, at any cost. How could anyone invent a theory or an equation or a formula for application for such a great diversity and the great disparity? Certainly, Sen must be aware of many examples as one cited above, and the anomaly thereby, as may be guessed from his writing. However, what will happen to economics, if it has to take into account the above example? 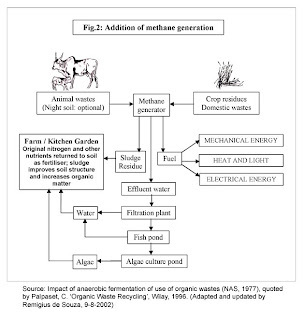 It will have to count also the “Environment–Ecology–Energy Cost” (EEE Cost) of the conventional agriculture of the peasants, here and now, at least in the Twenty First Century, and revise all its equations and formulae, hypotheses and rationale. It will have to re-write the equations after assessing the “EEE Cost” of all the industrial products. See, for example, the Census Survey of India 1991 (Census 2001 is not yet printed). It defines, “persons engaged in household duties, students, dependants, retired persons, rentiers, beggars are some of the categories grouped as non-workers” (Section 10, part 10.2). This seems to be applied to both urban and rural populations. How crude? Among peasants, the women share major responsibility at farms as well as home; the help comes from the aged and the children – students, dropouts, or those never enrolled. The peasants, even if aged, never retire unless invalid. The village data, if checked, will show substantial number of non-workers. See also the number of inhabited villages in the Census data. How do the people survive? Where do people go? How reliable are such data that may be extensively used by economists, other experts and planners to shape the fate of the people, but never reach the peasants? The amazing fact is the government may approve to send a man on the moon, but never sends complimentary copies of the Census Survey to the Gram Panchayats so they can scrutinise its work: only the peasants are qualified to do it, but they are languishing in illiteracy – innumeracy. The peasants are not aware of their status recorded by the government every ten years. And now Census 2001 is available only in electronic form. What would be the response of the peasants, particularly women, who feed not only their families but also the nation, to their status of ‘non- workers’ along the beggars, in the country that is so rich in resources? Whosoever may be responsible, the hypocrisy is unprecedented, it has no match anywhere. Having, of course, a will, in the modern times, and by hard work, the government can open many new avenues and areas to the peasants to elevate their skills, knowledge, livelihood, sustenance and self-reliance. Waters: conservation, recycling, aquaculture, health, recreation, use of water testing kit, and water management in the times of floods and draughts by self-help, having known that the government help does not reach in time to save life and property. Market: (1) arithmetic to derive the price-cost-value-benefit of their actions and input into their work, sustenance and the way of living; (2) idea of modern ‘economic developments that are conducive to a proliferation of middle-men, where commodities take over things, even humans, and prices from values; (3) work to master the market, neither to serve it or patronise it. These options should be the focus of education and main part of the curriculum for 900 millions peasants and 600,000 villages in the country, and not the British-made schooling, which is still being followed by the authorities and the departments. Having a will and courage, the government, as it has vast infrastructure, it turn every village into a Special Agro-tech Parks (SAPs) across the country. Taking a clue, if need be, from the West that sent the youth to the armed forces, or China’s example of ‘Cultural Revolution’, India too can develop on an indigenous tool, which is partially in operation. Deliver the “Pro-poor” products, not the promises. Give them the ‘fishing-hook’, not the fish. Be the facilitator, being democratic government, not a ruler. Return the land to the peasants, by their ancestral right, don’t sale to the corporate. Start six lakhs SAPs for six lakhs Villages of India on war footing.